It has always been a dream on my checklist for Paper Ave to create blooms for a window display. 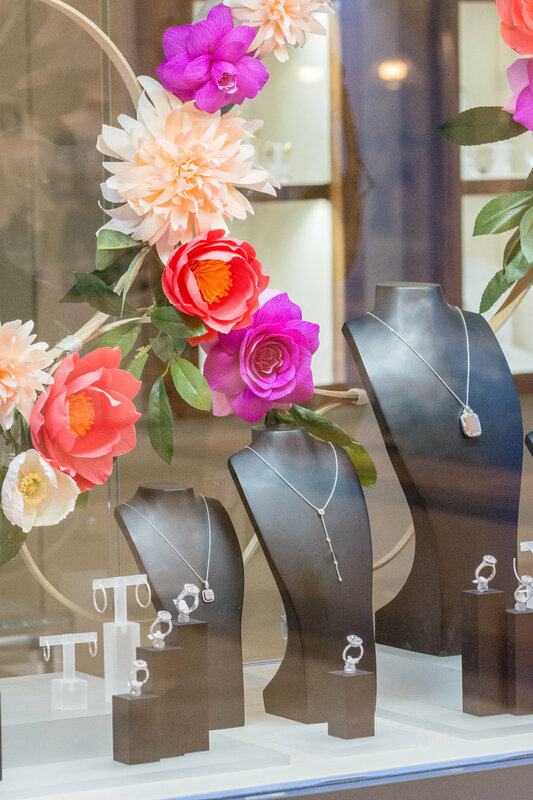 I find that there is something so mesmerizing in walking by a window and seeing all the intricate details that a designer and team members put together to draw you towards their store (Anthropologie, anyone?). 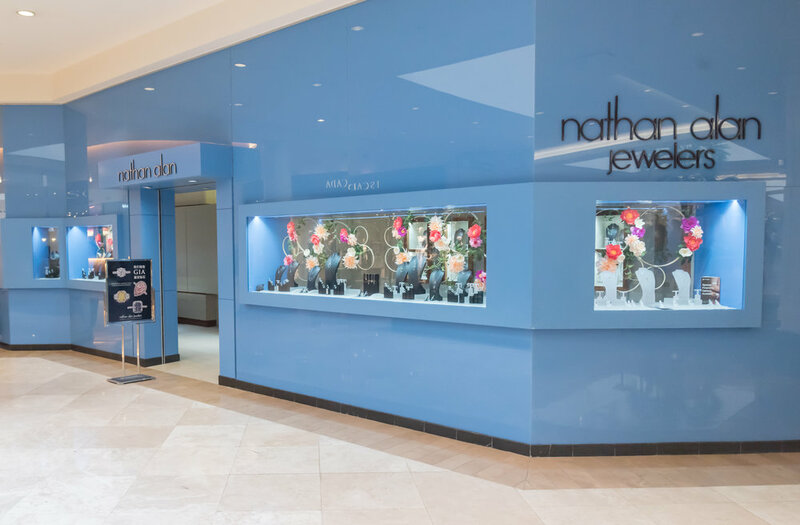 This summer, I am ever-so-grateful that LaVonne from Adorations Botanical Artistry reached out to me for a collaboration for a window display at Nathan Alan Jewelers located inside of South Coast Plaza. After meeting up and exchanging our ideas, it was decided to do a series of hoops that are taped and hand-tied together, followed by applying the paper flowers. The ingredients for these blooms included various peonies, anemones, dahlias and roses. The beautiful color palette was put together by LaVonne who used a previous wedding project with the Alan family as the main source of inspiration. The total number of blooms for this project? About a little over 100. Each individually handcrafted and hand-sculpted. Words can't describe how it felt when the display all finally went up. When my husband and I went back to visit the store about another week or so after the display was finished, we sat outside and spent a good amount of time soaking it all in. My sincerest of thank you's to Lavonne and Alan for allowing me this opportunity for such a fun project. Thank you to John Cameron for all the beautiful photography! The display is currently still there, so please be sure to stop by if you're ever in the area!